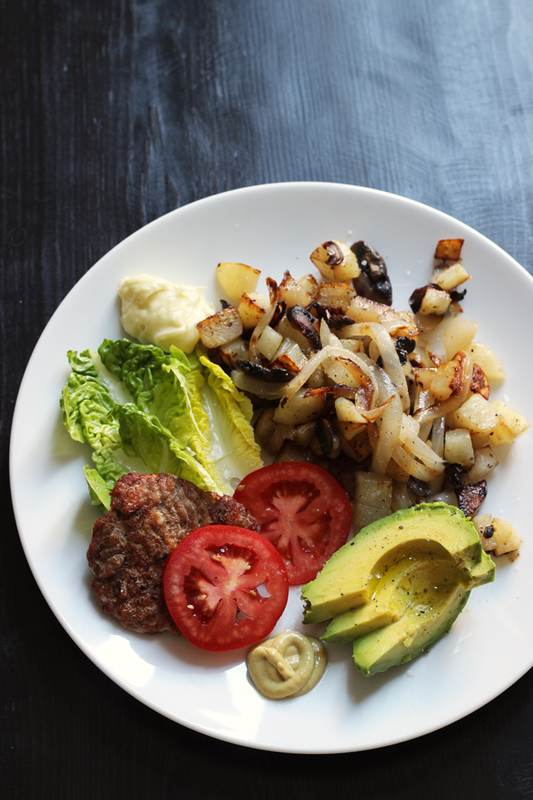 Whole 30 with Modifications: Here’s my log of what I’m eating to troubleshoot inflammation and maybe lose that extra five pounds. For the past two months, I’ve had pain in my hands, like, it-hurts-to-curl-my-fingers-around-the-steering-wheel pain. Last week it got to the point that I wanted to take advil. All the live long day. I had six babies without pain killers; I’m not really into pain killers. This was kind of a warning signal to me. Yesterday (7/30/15) I went to the doctor. She ran a panel of tests to look at my calcium, magnesium, thyroid, and inflammation. In the meantime, I’m going on a 21-day eating plan to kinda detox. The summer has been full of ice cream, Doritos, and s’mores. Okay, not “full” of, but definitely more than normal. Plus, the doctor’s scale revealed that I gained back the pounds I lost in France. two snacks a day are okay! So basically, I came to the conclusion that maybe I could handle another Whole 30 with some modifications. I have batted around Andrea’s diet differences, thinking about the legumes and grains and smoothies, and coming to a nice combo of the two for myself. Even the Whole 30 people say it’s a learning tool, not a lifestyle. While I’m not doing whole hog Whole 30, I think it will be good for the goals I have (reduce inflammation, lose a few pounds). 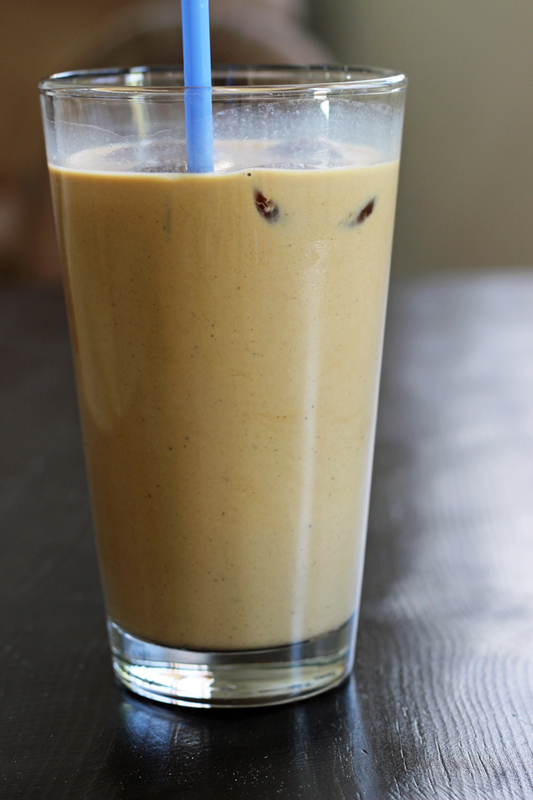 I also made a green smoothie with kale (prechopped from Trade Joe’s thank you very much), coconut milk, coconut water, blueberries, mango, chia seeds, and almond butter. The almond butter really threw the flavors off. It was edible, but not over the top delicious. Morning Snack/Post Workout Meal: Scrambled eggs with kale, peppers, and onions, green tea, and a handful of almonds. Lunch: I met my husband at Chipotle for a lunch date. I went with a chicken salad with vegetables, mild salsa, and guacamole. It was good, but not over the top or anything. Rice really does make a difference. Dinner: I let the littles make dinner for the family: French Bread Pizza. 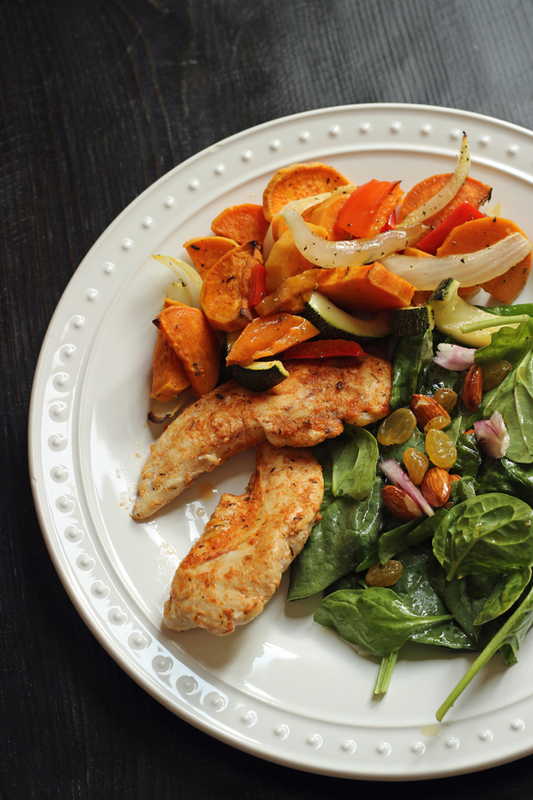 I had chicken cooked in coconut oil and Cajun Spice Blend, roasted vegetables (sweet potato, zucchini, onion, pepper, and garlic, doused with olive oil and sprinkled with salt, pepper, and Herbes de Provence), and a spinach salad with red onion, raisins, and almonds. I’m looking at this as a project, taking it one day at a time. I don’t intend to go all 30 days, but hope to at least hit 21. My daughter’s birthday is the 25th, and I intend to eat cake! I’m also hoping that the inflammation will have abated somewhat. I’m okay with these modifications mainly because I don’t have huge dependence on smoothies or juice or snacking. I’m not going to give up an aperitif while I make dinner. I’ll just tweak these things to be Whole 30. Breakfast: I’m okay with not having a protein at every meal. At least I think so! Since I don’t want to overdo the eggs and I have a big work day ahead of me (meaning less time to cook), I went meatless for my breakfast. I had green tea and leftover vegetables from last night when I woke, and an hour later I had a smoothie with coconut milk, pineapple, and mango. Pineapple is supposed to be an anti-inflammatory. 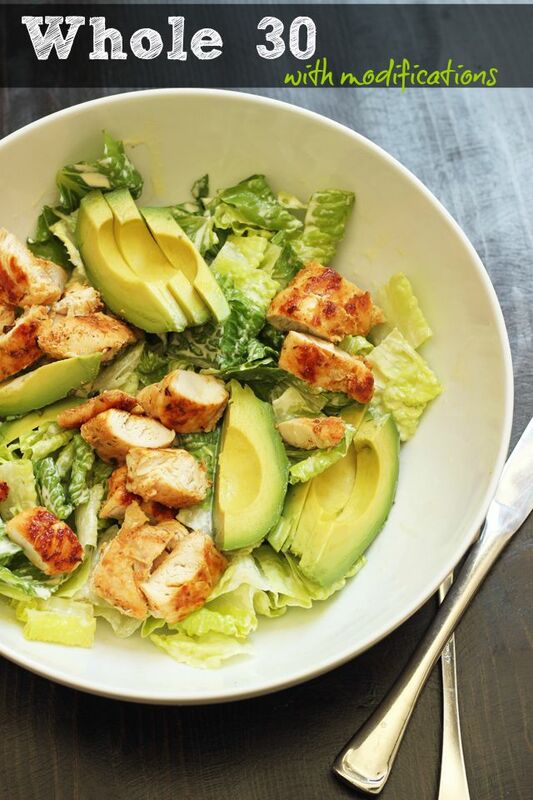 Lunch: Spinach Salad with leftover chicken and vegetables from last night with 1/2 an avocado. Pre-Church snack: We were in a hurry, so I ate the rest of the Larabar and an apple in the car. Ha! Totally breaking the W30 rules. If you hadn’t figured out already, I’m focusing on the ingredients aspect of W30, not the habits. Feeling okay. Just a little tired. Trying not to think about the Whole30, but just taking it a meal at a time. Sundays are my day to sleep in, but I woke early, like 6. Too early on a day of rest, but oh-well. I checked my lab results online which was a bad thing to do on the weekend when the doc is not in. It doesn’t look great. Breakfast: Fried egg, uncured bacon, hashbrowns in avocado oil, leftover vegetables from Friday night, 1/4 an avocado. Coconut latte. Very good. Lunch: Chipotle salad with steak, fajita veg, mild salsa, and guacamole. I know their oil isn’t technically okay, but it’s rice bran which I think is better than the soy they used to use, so I’m not going to sweat it. 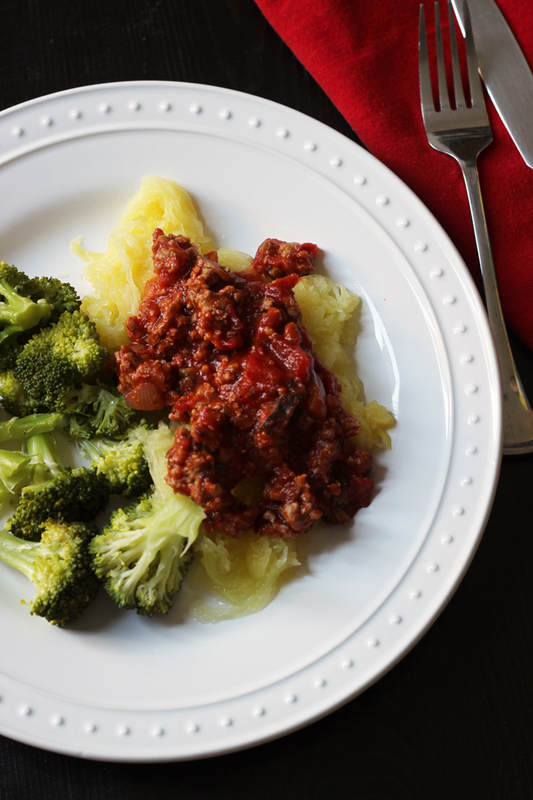 Dinner: Spaghetti Squash with Turkey Bolognese and Steamed Broccoli with Ghee. Dessert: Kit’s Organic Dark Chocolate Almond Bar — so good! These are $1.25 this week at Sprouts. Post-yoga breakfast: Smoothie of Kale, Coconut Water, Coconut Milk, Berries, and Pineapple. Okay but not great. I’ve been limiting bananas and I already had one for the day. Lunch and Dinner were delish! Dinner: Date night! We went to Chipotle. There are no carnitas in Southern California, so I went with steak, (yes, I know rice bran oil, not gonna sweat it), veggies, salad, mild salsa, and guac. Went to bed by 9 but did not sleep well, even though I drank Yogi Bedtime Tea right before. Slept “in” until 6:45, so I think I got 8 hours somewhere in there. So, I made it seven days and then found out that my blood work was showing some more serious stuff. I went mostly off plan until I got a diagnosis. I’ve got the diagnosis now. 8/19/15 – hyperthyroidism driving by autoimmune processes. Whether that is Grave’s or something else, my life has taken a turn I didn’t expect. I may have some more longterm dietary changes soon. I’m not sure what I want to do. Forever? That is a long time. Bummer! I opened the Kroger/Ralphs can and I would say that it has quality issues as well. Really curdly in coffee. Bleh. Do you have Sprouts? I bought their store brand and it’s just like TJ’s. No Sprouts near us. We’re in SC. The closest I’ve seen is one near Atlanta, GA. I tried a few others with VERY mixed results. They have also had a pretty big price range too. Will have to drop in Sprouts the next time we head home.